FM Radio Station 91 Ghotki Sindh. 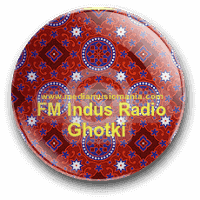 This FM Radio Station is presently working in Ghotki Sindh with best quality service and providing best information and quality programs for the peoples of Sindh in Sindhi Language and daily updates every day like FM Radio Umerkot. FM Radio 91 Ghotki is most popular Radio Station in Ghotki, Sukkur, Panu Aquil and also District Khairpur and this under licensed from Pakistan Electronic Media Regulatory Authority (PEMRA). The frequency of this FM Radio is 91 2 Kw transmitter, this FM Radio is Broadcasting with the cooperation of Indus Group Radio. FM Radio Ghothi 91 listened online and it has received encouraging enthusiastic due to great informative programs for their listeners. This FM Radio produce programs such as Sindhi Music, News Bulletins, Programs for Women, Sports, Public Information Programs, Health, Safety measures, Education, Environment, Agriculture, Irrigation, Community Development, Human Rights and other programs like FM Radio Tando Muhammad Khan. This FM Radio is listened and Broadcasting the areas in District Ghotki Sindh, such as Sukkur, Rohri, Punno Aqil, Kandhkot, District Kashmore, Thul and some parts of district Jacobabad, district Shikarpur and a some areas of District Khairpur Sindh and other areas Kot Sabzal, Sadiqabad Punjab. This FM Radio is very popular in District Gotki and peoples of Gotki and surrounding areas. This FM Radio is providing best and excellence service in all over Sindh and this Radio is source of information for most rural areas of Ghotki and surrounding areas of Punjab such as Rahim Yar Khan.